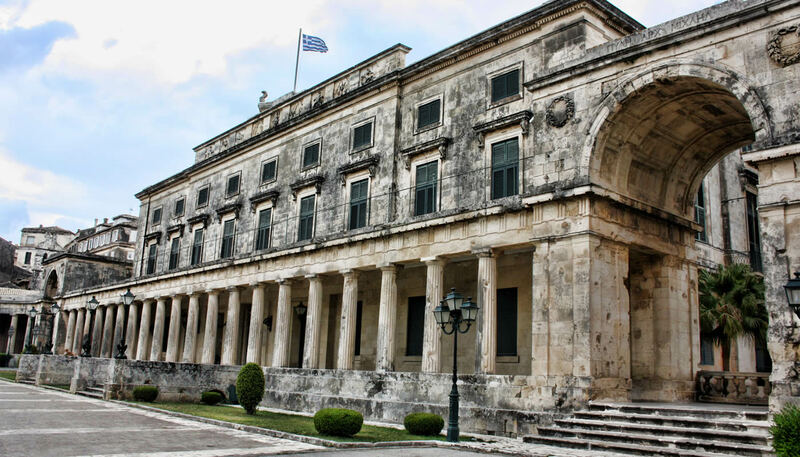 There are many interesting historical, religious and archaeological sites and attractions in Corfu (Korfu, Kerkyra) Greece, making it ideal for sightseeing lovers. 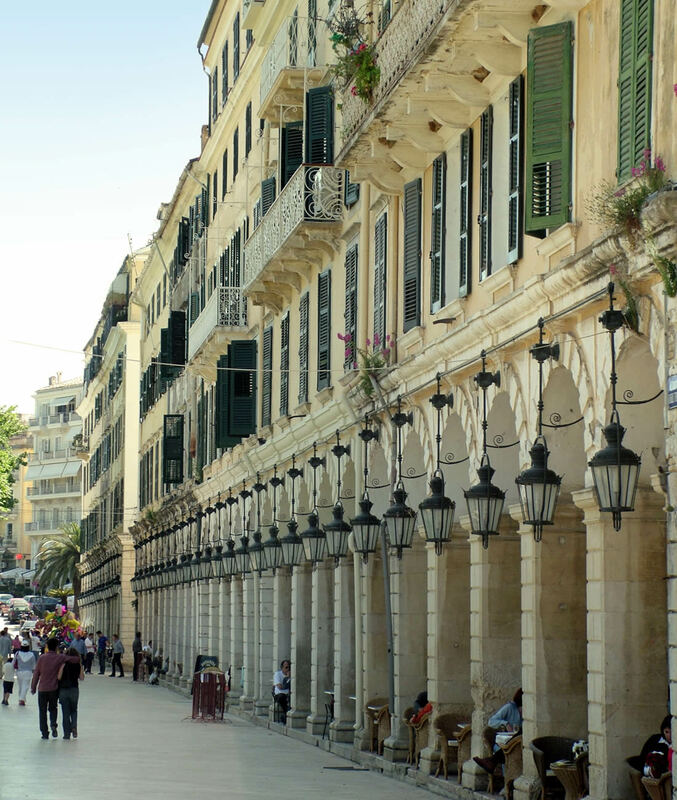 Below we name some of the most prominent sightseeing on Corfu Island. 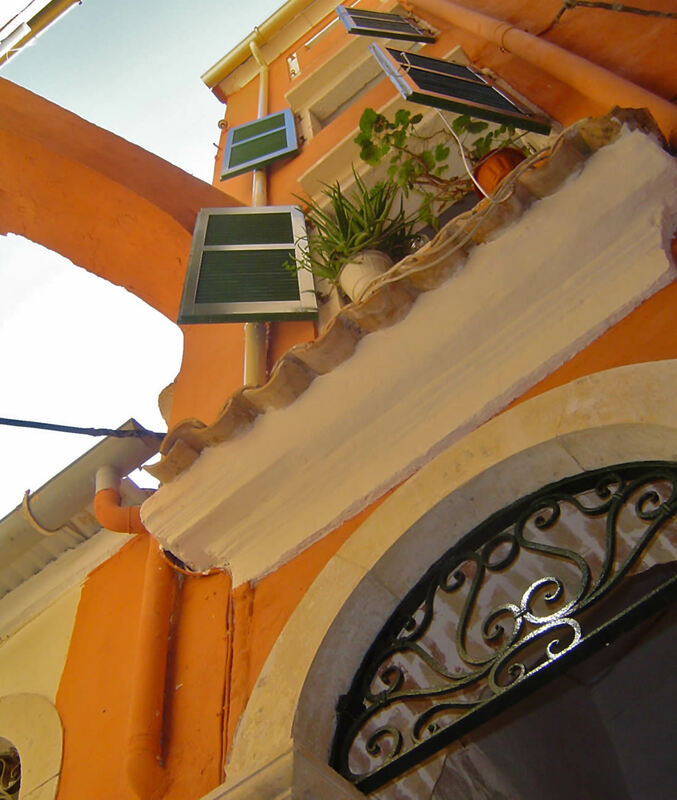 The old town of Corfu is a monumental ensemble, unique in Greece. Since 2007 the old town, including the Old and New Fortresses, is on the list of World Cultural Heritage of UNESCO. 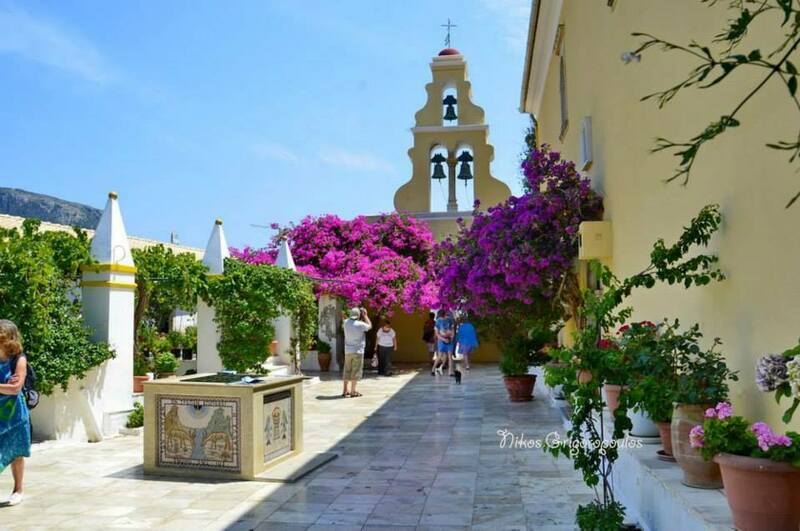 The Achillion Palace (Sissy Palace) is ideally located in the picturesque village of Gastouri..
Kanoni is situated south of the Palaiopoli peninsula, just outside the town. 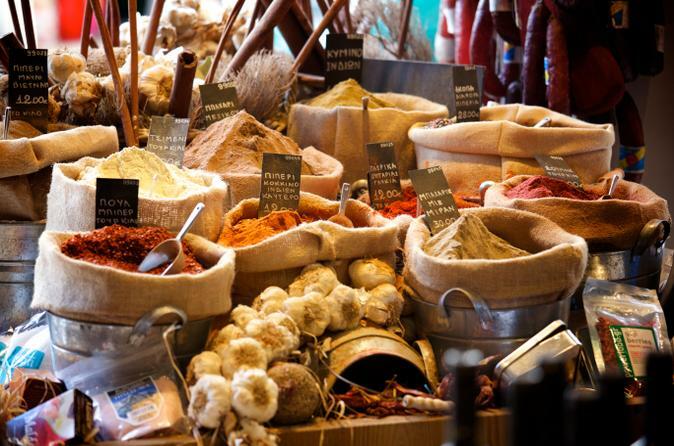 The archaeological site of Palaeopolis and Mon Repos is the site of the market of the ancient city of Corfu. 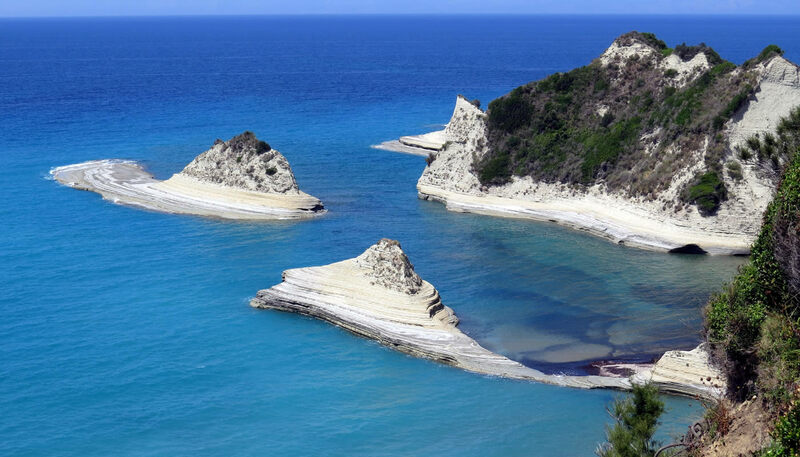 It is located in Palaiopolis-Kanoni, just outside Corfu Town. Mon Repos is an elegant villa built in a beautiful garden with many different spices of plants and trees. 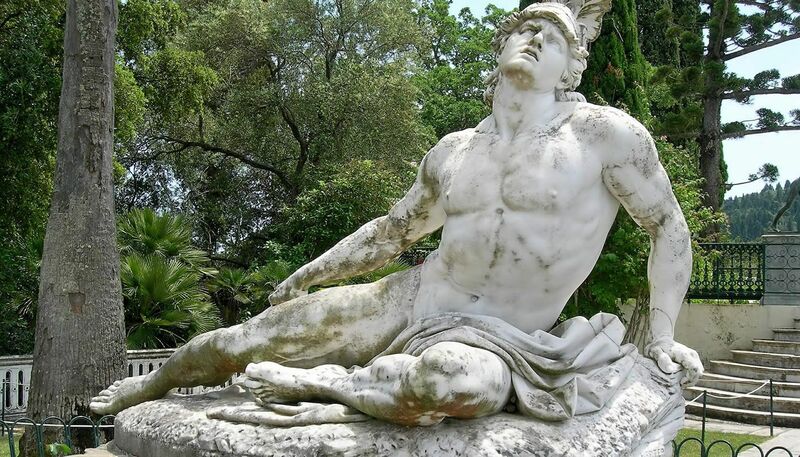 The garden of Mon Repos include parts of the ancient city of Corfu. 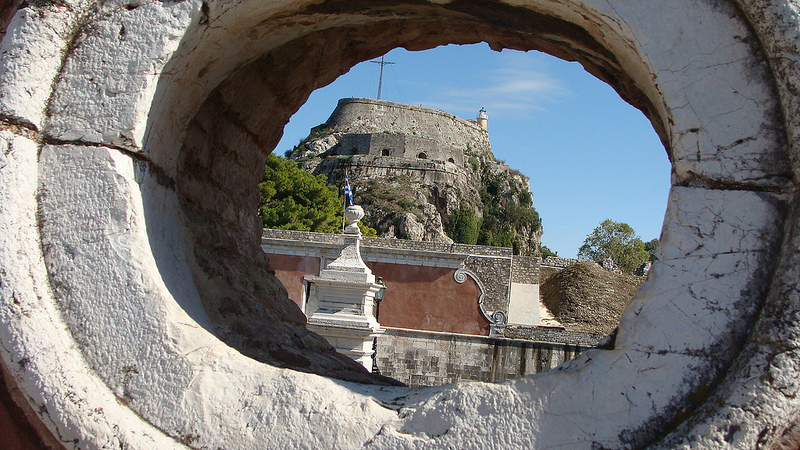 The Old Fortress, located on the eastern side of Corfu’s (Kerkyra’s) port, was built initially during Byzantine times. The New Fortress is in the western side of the old town and it can be accessed by either its main entrance from the old harbor or from the smaller gate, in the south side, from Lohagou Sp. Veikou street. Spianada square is known as ‘the largest square in the Balkans’ and is situated in front of the Old Fortress. 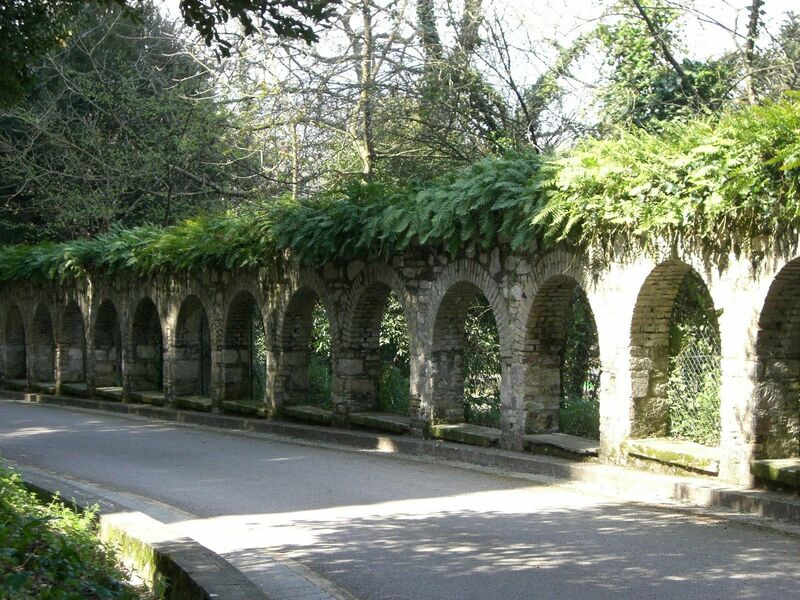 This construction, with its series of arches fronting the road, was designed by the Imperial French after 1807, and is a typical construction of its era. Its architectural exemplar is the Rue de Rivoli in Paris, which was built at the same time. It is the most famous religious monument of the town, obviously influenced by the Italian art. It is dedicated to Saint Spiridon, the patron saint of Corfu. 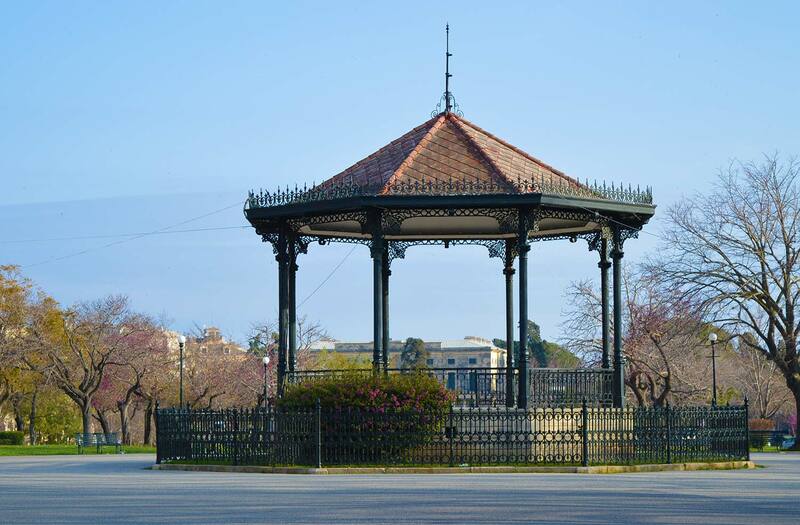 It is located in the old town of Corfu and constitutes the most important monument of the period of the British rule. 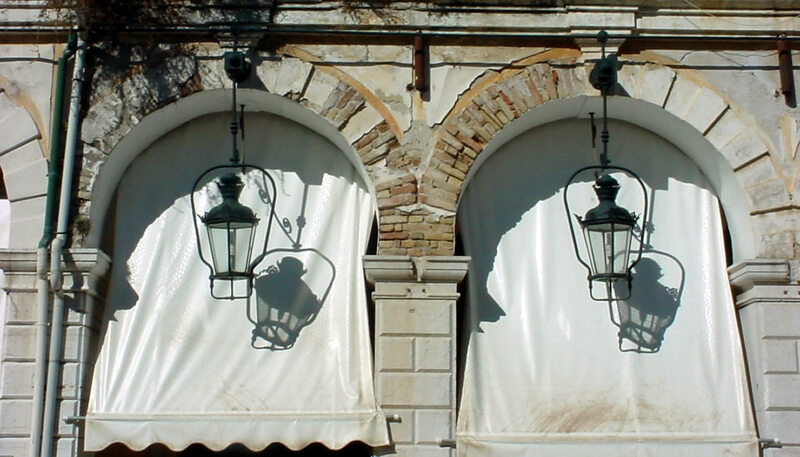 The building that was being built for 30 years, since 1663, was “loggia nobili”. Later it became a theatre, which name was San Giacomo and in 20th century it became a Town Hall. – Collections and contents: Icons and religious artifacts from the 15th to the 19th century. – Collections and contents: a wide variety of ceramic objects that is distinctive of Corfu Island. – Collections and contents: Banknotes issued from 1839 to 1920, post-war banknotes from other countries, documents, seals, photographs, coins, stamps, etc. – Collections and contents: shells, fossils, sponges, corals, embalmed fish, lobsters, crabs, snakes, sharks and shark jaws, sea-urchins, etc. 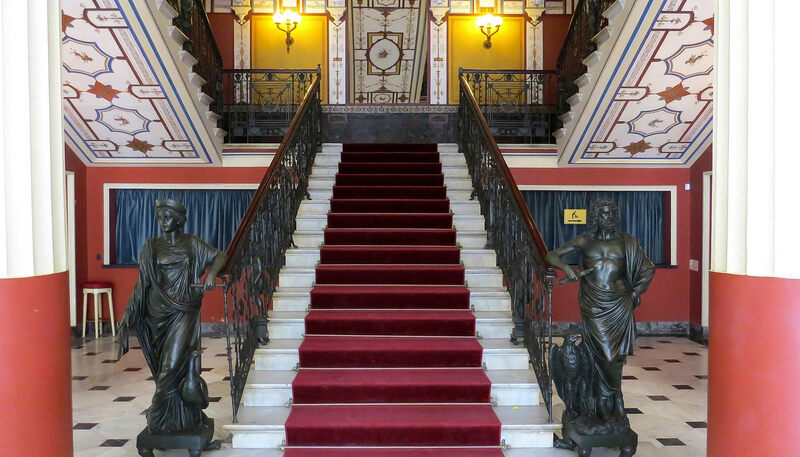 – The Sea Shell Museum: Benitses, Corfu (Kerkyra). The North east coast is the most developed touristic area and driving around you will understand why. After Dasia and Ipsos which are popular resorts you will pass from Barbati; a lovely beach with tavernas and water sports. 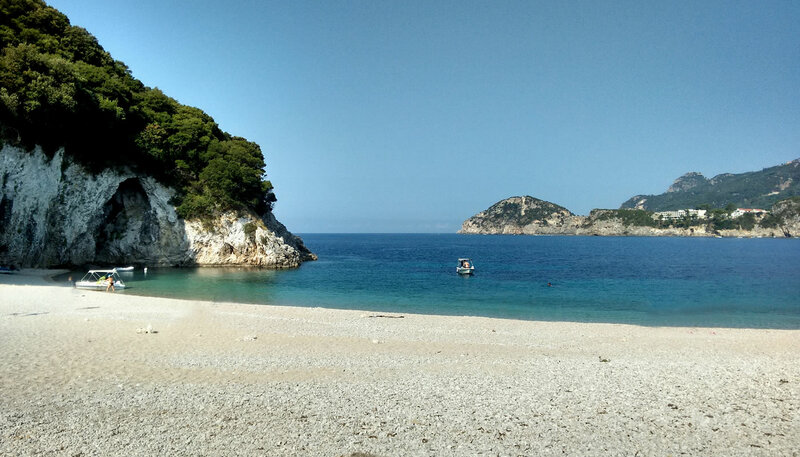 Further to the North there are lots of small bays where it is nice for a swim, go for a lunch or a coffee at bays like Agni, Krouzeri, Kaminaki or Nisaki. Also the bays Kerasia, Avlaki and Agios Stefanos are nice and don’t forget about Kassiopi. After Kassiopi up in the mountains there is an old deserted village called OLD PERITHEA, to get the feeling of the old days on Corfu, there are several tavernas. Coming down from this mountain there is a quiet bay called Agios Spyridon. Which is not deep and ideal for very small children. Another day you could visit the other side of the island, the beautiful West Coast. Paleiokastritsa is a known resort but it has as well a monastery on a hill which is worth to visit. 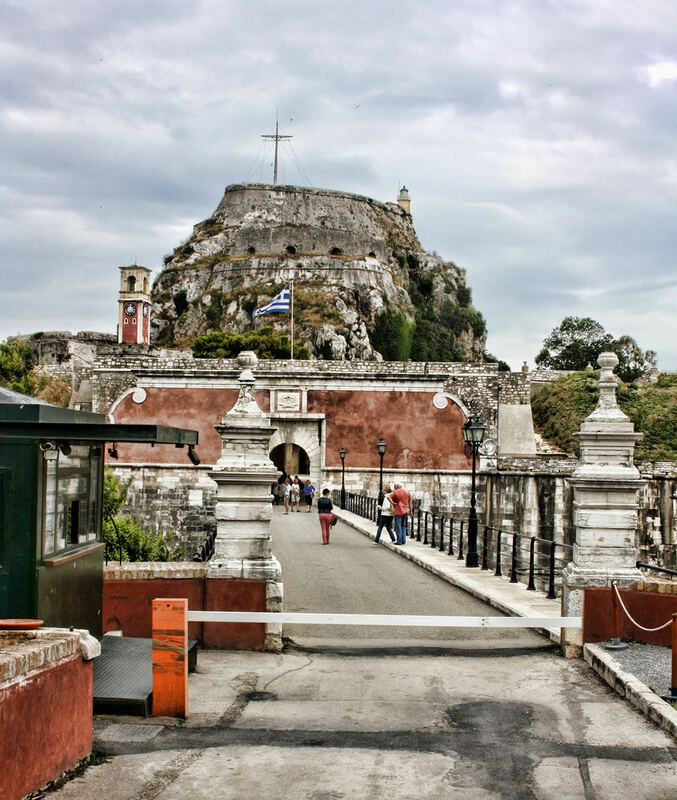 In Palaiokastritsa you can do the grotto tour and a little bit more to the north it is nice to go to the ruins Angelokastro, which is one of the most important Byzantine castles of Greece. It is located at the top of the highest peak of the island’s shoreline in the northwest coast near Palaiokastritsa and built on particularly steep and rocky terrain. 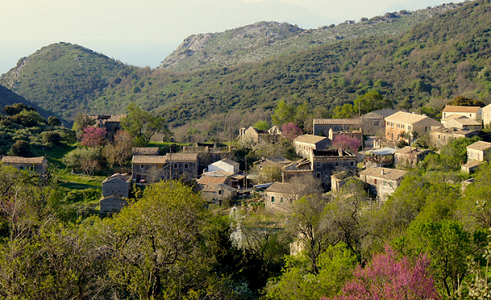 Further north you can follow the coast to Agios Georgios and visit the traditional village Afionas. Once there you can visit the twins beach Porto Timoni. 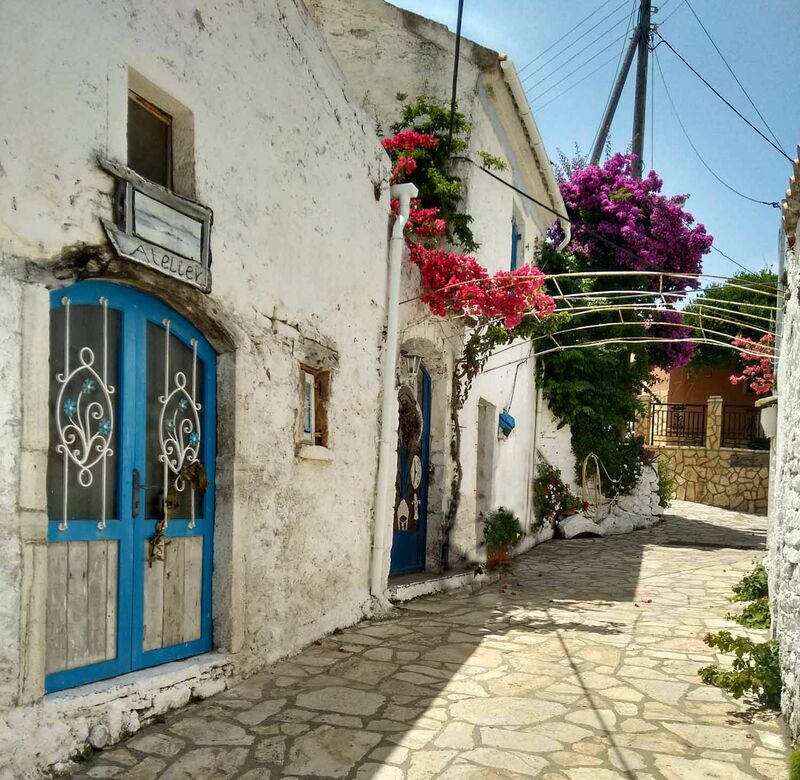 Further it is nice to drive around in the center part of Corfu through the small traditional villages such as Varipatades, Kouramades, Kalafationes, Agios Prokopios (oldest olivetree on the island) . “The Durrells”, ITV’s new adaptation of Gerald Durrell’s popular book My Family and Other Animals, has turned out to be a crowd-pleaser (already two seasons). 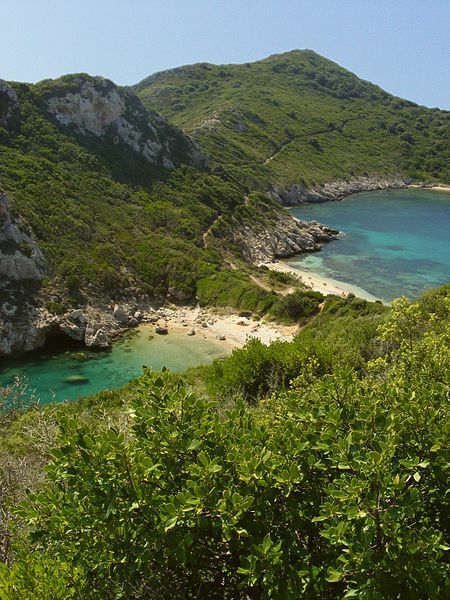 The drama is based on the celebrated naturalist’s semi-autobiographical tale about growing up on the Greek island of Corfu between 1935 and 1939. 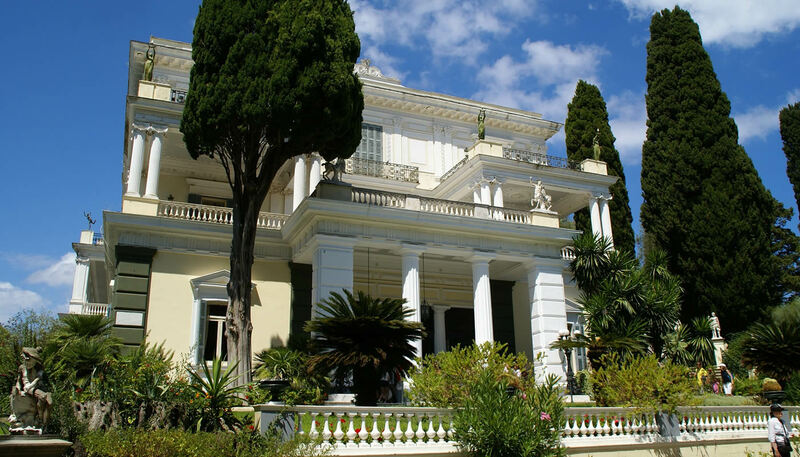 The popular serial made many of us curious about where this family had lived on Corfu and would like to get a glimpse of the houses while they are on holidays on Corfu. The three houses rented between 1935 and 1939 by the Durrells are still private homes. The “Strawberry-Pink Villa” at Perama has been completely rebuilt and bears little resemblance to the original, apart from its colour. The “Snow-White Villa” lies hidden among narrow lanes nearby Chrysida, and visitors can only glimpse it from the road. Though at the Durrell’s third home, the “Daffodil-Yellow Villa”, you really can sense the ghosts of the past. This is the house where the series were filmed and it is located on the Gereko Island at Kontokali. Further the “White House” in the waterfront village of Kalami which is now a tavern and a holiday letting. This former fisherman’s cottage is where Lawrence and his wife Nancy lived and where he wrote his poetic book about Corfu, Prospero’s Cell.